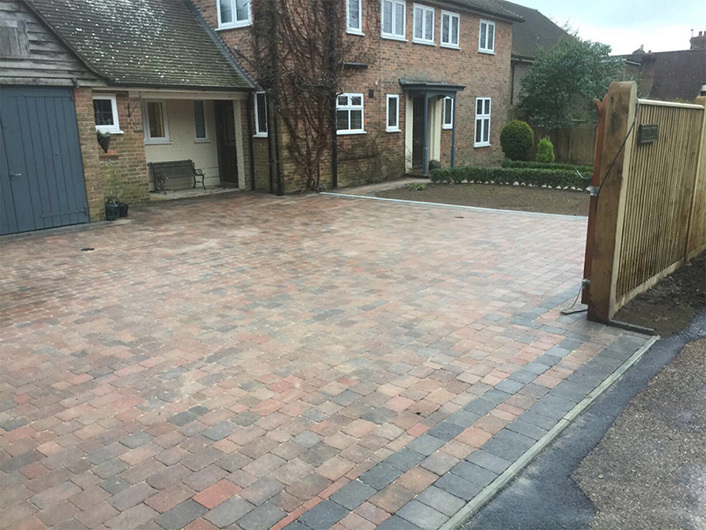 This was a complete renovation of the front of this customer’s property. 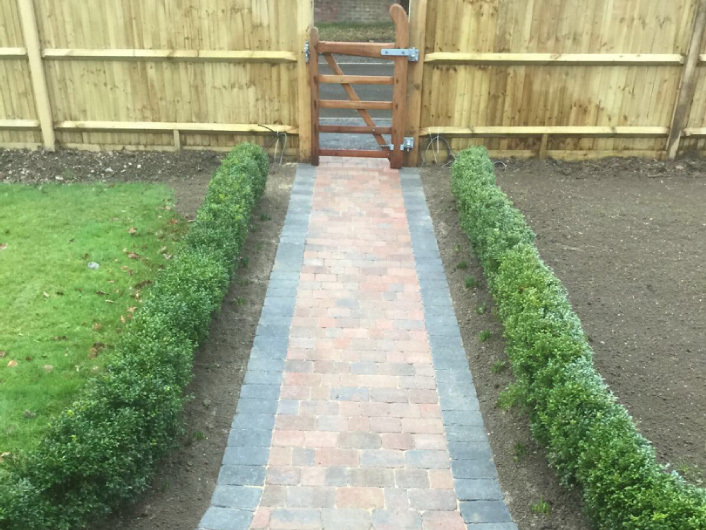 Not only were the customers after a new driveway, they required a retaining wall for a raised flower bed area and new pathways leading from the pedestrian entrance gate up to the front door of the property and joining with the driveway. 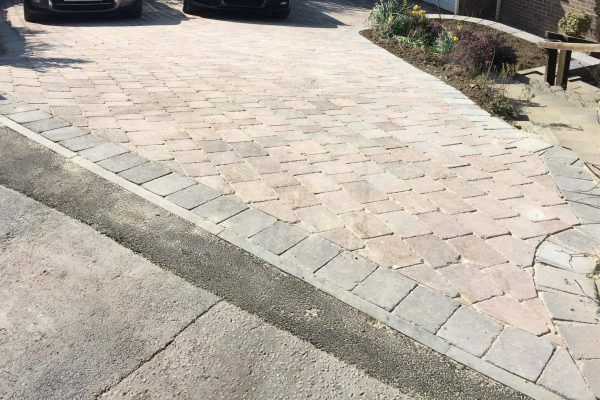 After offering our advice and knowledge on block paving, the customer chose to use the very popular Country Cobble Paving in the colour Cashel with a double feature Charcoal Edging. 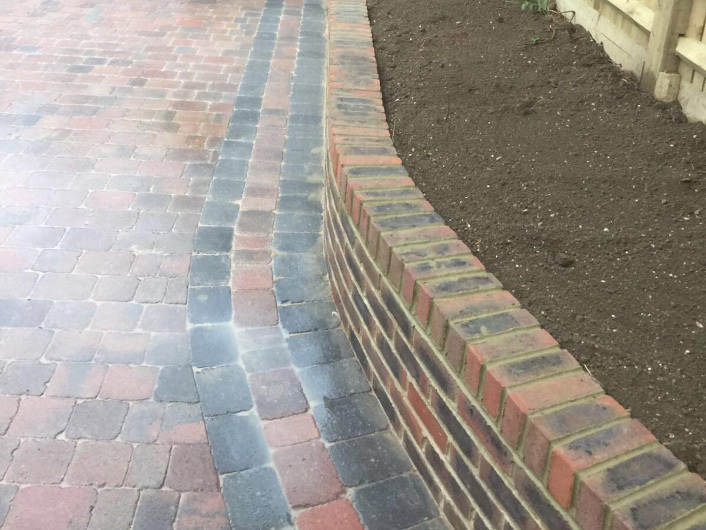 The retaining wall was constructed using West Hoathly bricks. 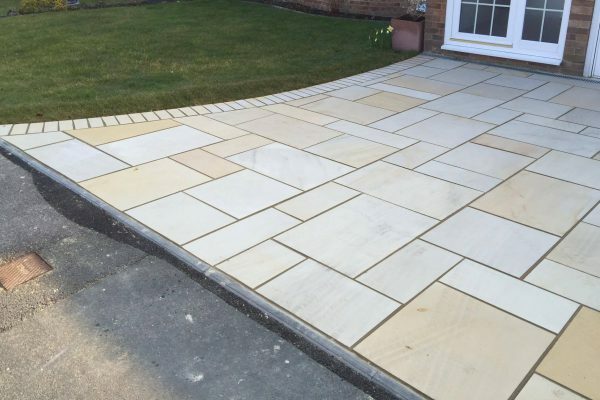 After the removal of the existing driveway, we then proceeded to lay the concrete sub-base. When the concrete base was ready for the laying of the sharp sand, we laid this out and levelled it before using the vibrating plate to compact the sand. 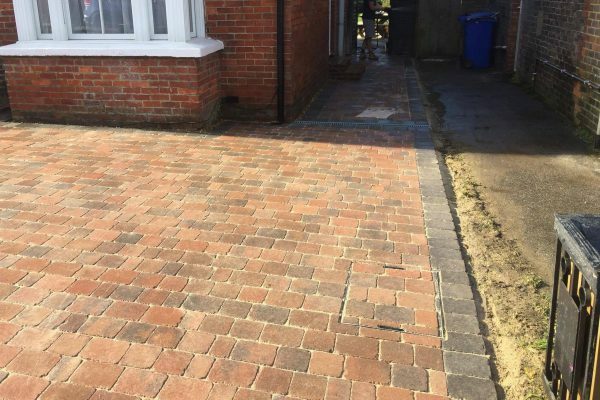 At this point the block paving is ready to be laid. 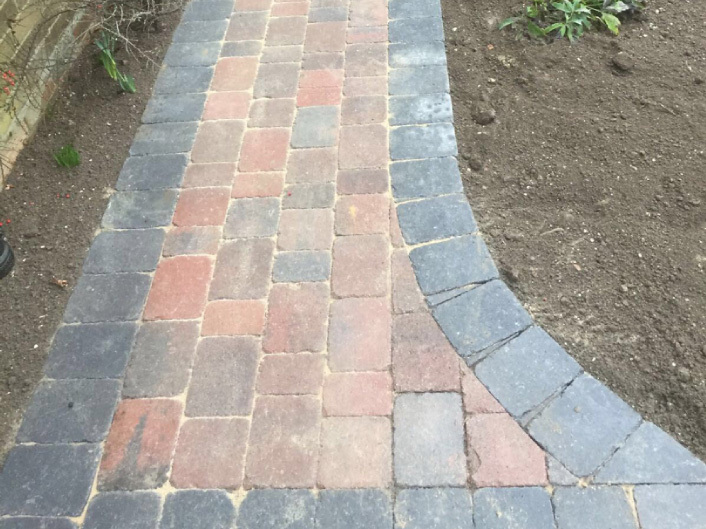 Once the paving was laid, we then did a sweep over the area using the kiln dried sand to fill the joints. We then finished the project using the vibrating plate to ensure all the joints were filled with the jointing sand.